Got Chalk Hoodie Fleece Hoodie. This fleece warmup will fill your leisure time with comfort and a gymnastic theme. The fleece is 100% washed cotton. The jacket features a full front zipper hoodie design with two large pockets and 2-1/2" sleeve cuffs. 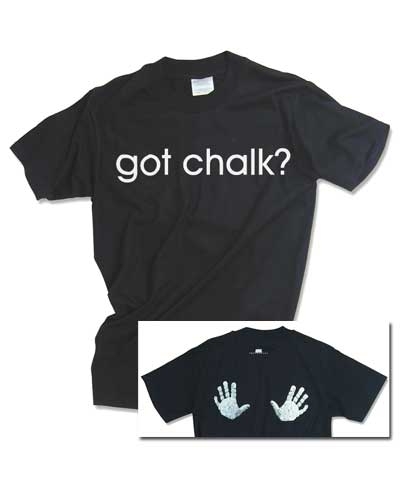 Our classic "Chalky Hand Prints" give a bit of humor to the back. Please note that Adult size and Junior size are from different vendors and die lots, so when ordering the FP862 Got Chalk Pants to match the Hoodie-it is best to order both in either adult size or a junior size.